Happy Thanksgiving everyone! 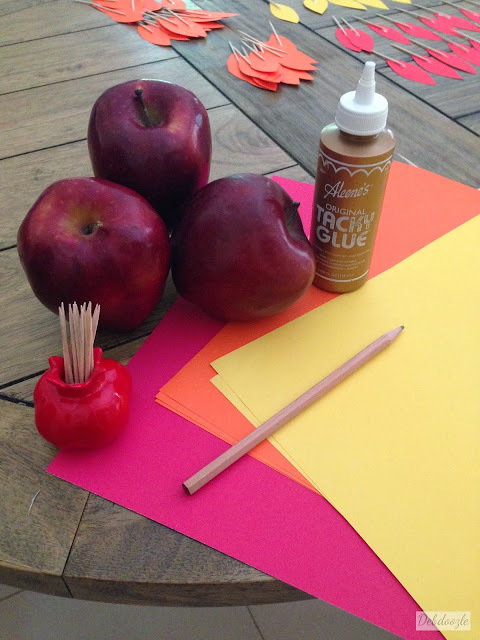 I am so excited as this will be my first year celebrating Thanksgiving after two years being in Dubai, which prompted me to finally bring back my favorite apple turkey craft. I learned this craft when I was a little brownie in Girl Scouts and have been making these for my teachers, friends, and family ever since! It's a very fun craft to decorate the table with ahead of time, or to save for the dinner party to bring the kids together. When I came across this exhibit online, I couldn't help but share it with all you guys. 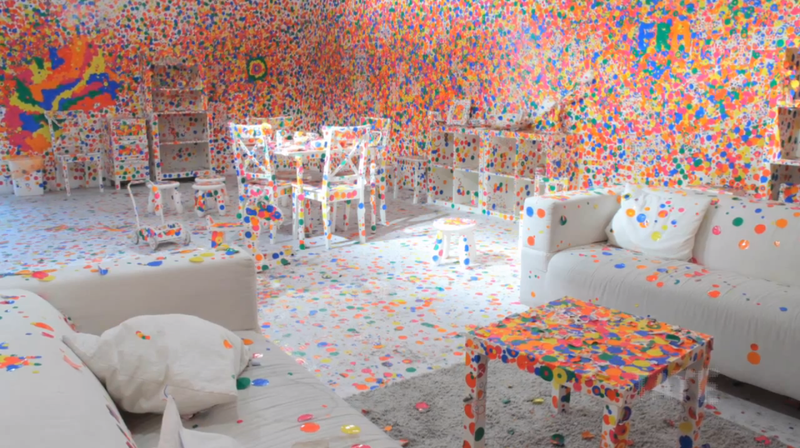 A perfectly white room and thousands of multi-colord stickers to stick where ever you want and to your hearts content. What an idea! 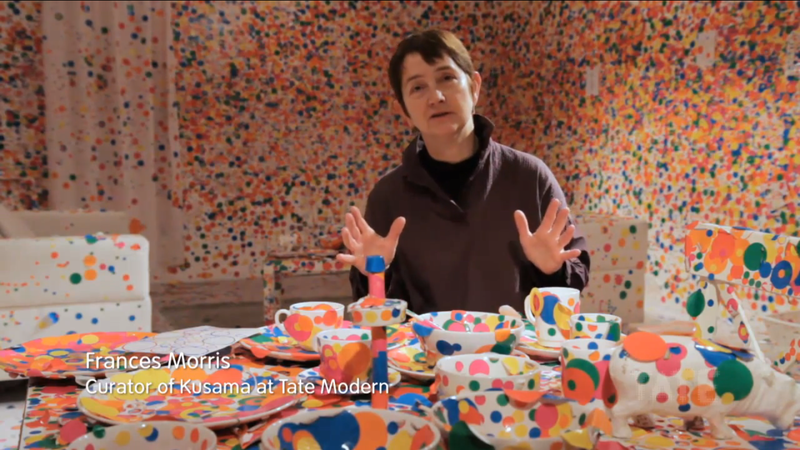 Unless it's your home :-O While that doesn't seem like a good idea one artist, Yayoi Kusama created the Obliteration Room and invited kids and adults alike to place stickers all over. 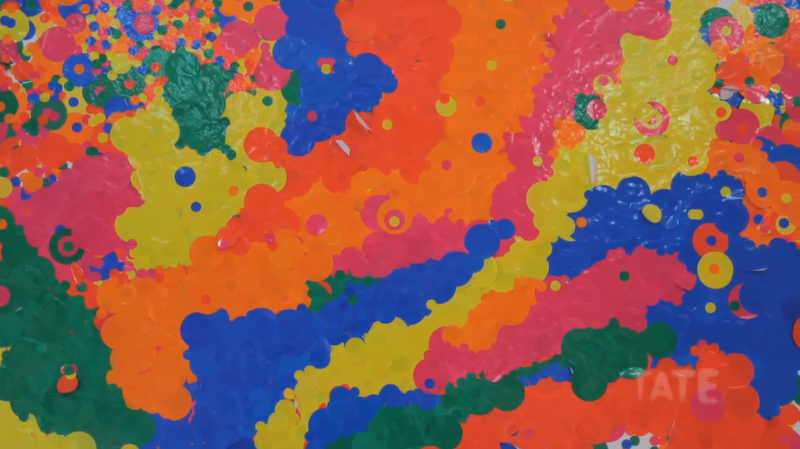 The result was a magically colorful art piece. You can watch the creation here. Hey there folks! I hope you are all well, we can't complain over here. Though a few months ago I was ready to pull my hair out thanks to the youthful spirit of Z3, my youngest. I found my stinker mesmerized by the beauty of cobalt blue craft paint. Of course it wasn't as beautiful in its tiny tube as it was on the floor, on my curtains and on himself including his onesie. In all fairness though, his adventurous side could have been more disastrous considering the easy access to all my paint supplies. I attempted to clean everything up, but to no avail. My curtains and his onesie were inevitably stained. Luckily the curtain stains are not too obvious and I had other onesies he could still wear, but this one was not worth throwing away. Instead of being annoyed by the random stains on it, I thought, how about experimenting with my fabric markers? 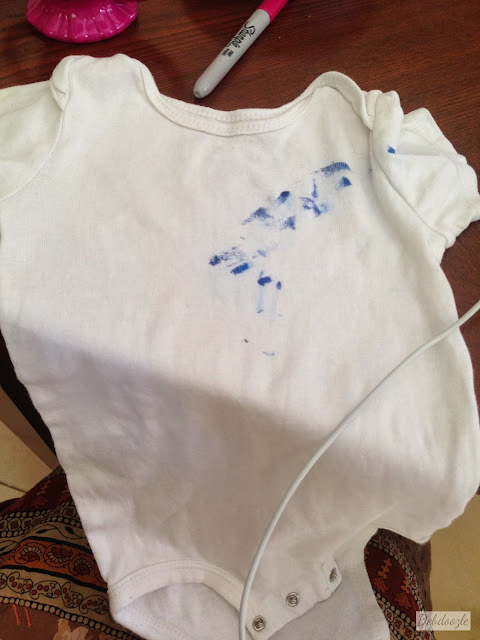 It couldn't go wrong since the onesie was already ruined, and actually it ended up like new! Marvy Uchida brand fabric markers. Originally purchased from Michaels in the States, but they might be available at the Craft Supply store in Barsha for UAE residents. Blending Soapy Water to Clean Out a Blender- Does it Really Work? Hello virtual friends. Hope you're all well on your end of the earth. Today I wanted to share a little test I did at home. 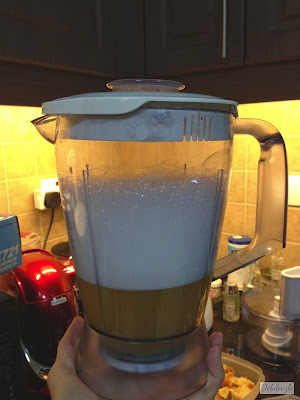 I saw an image roaming around the web about "how easy" it is to clean your blender by just blending soapy water in it. I found it hard to believe that the ENTIRE blender including the the blade base and rubber ring that stops the liquid from leaking would get clean. So I gave it a try at home and wanted to share the results with you all. Hey there Debdoozler's. Apologies' for yet another belated Spiritual Friday post. But here I am now, reflecting on life, my home, the homes of others and in some instances the lack-there-of. There have recently been tragic losses of homes around the world due to natural disasters, but there have also been consistent losses, more like evil occupation of homes by cruel, mean political people who've hijacked peaceful religions in the name of their evil politics. First the backstory. 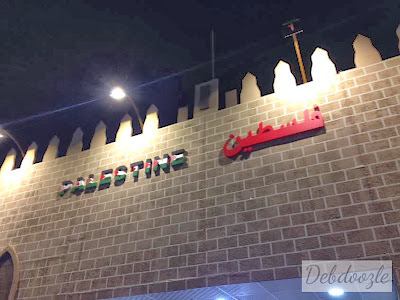 This past weekend I went to Dubai's famous Global Village, where you can tour the world in just a few hours. Different countries set up mini markets filled with the best products that represent their country. 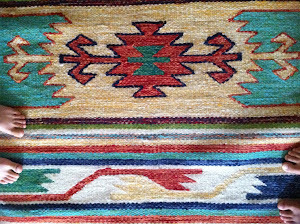 From food, to clothes to souvenirs, the world was at our fingertips. So off we went, the hubster and I, to get some essentials, plus a couple of impulse buys. Our first country: Palestine. The necessity: Olive Oil. This wasn't your ordinary olive oil from Italy, or Costco ;o) This was special olive oil. PALISTINIAN olive oil. Only 'the best in the world' olive oil. The hubster's co-worker recommended it to him and in turn convinced me we should get it. He purchased this lovely oil once a year and raved that it was THE BEST! Hello, hello! 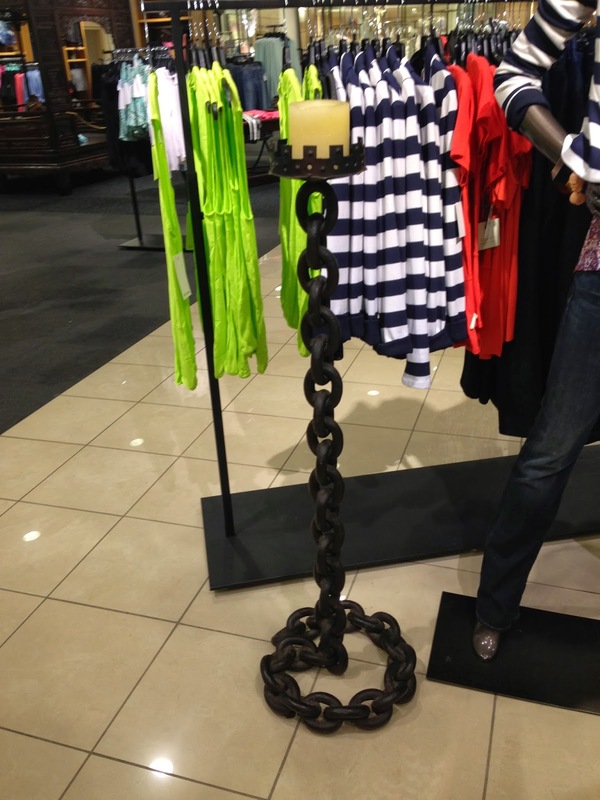 It's officially the weekend, TGIT (thank God it's Thursday :-P) Let's talk about chain links a bit. They've been on my mind since my last trip to the states. 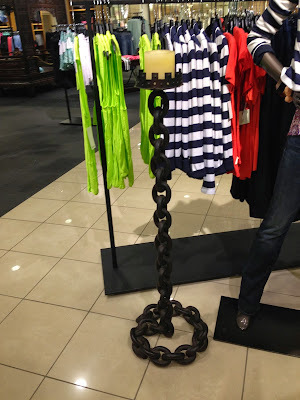 I would have never thought to use them in home decor, but when I saw a chain link floor candle holder in person I thought it was the coolest thing ever. I'm not sure if I could make it work in my own home, but I am definitely admiring the idea and who knows maybe I can make it work without a forced look. When I saw that display my first thought was, could that be used in a home? Why not? Well, unless you have little tikes who'll knock it over in a heartbeat, but aside from that it would be cute. 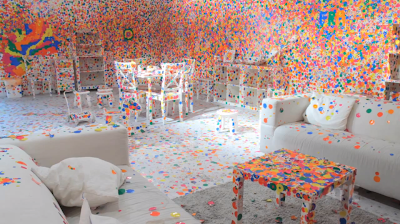 So I scoped out the net for inspiration and came across this cute room. Talk about character. 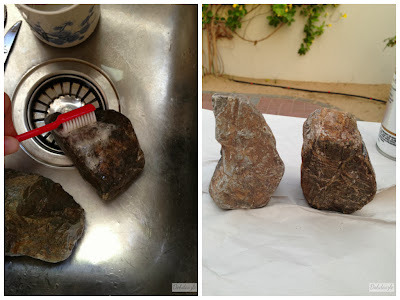 I started off by washing the rocks since they were covered in dirt. The toothbrush will get any dirt in the small crevices. If you don't clean it well you risk paint chipping in the future. After they were cleaned I set them out to dry in the sun. Again, if it's a little wet the paint will not hold well. I gave them a prime coat to make sure the color would hold. Hello all. Hope you are all well. I was randomly surfing Dubizzle, the UAE version of Craigslist, the other night and I became beyond frustrated. It's the same story every time. Options are few and far between and most items will fall under one of three categories: used Ikea furniture, used ridiculously expensive "high end" furniture, or tacky used custom made crap. This is ex-pat land and you'll find the market filled with used furniture, but it's all the same! Ikea is definitely the go-to one-stop-shop for everything home related, but then you have those who have to have "quality" furniture and buy very VERY expensive furniture that's just as crappy as Ikea. Anything in between those two is crap. This is a young country, shoot, my husband is older than this country I kid you not. Because it's such a young country finding cool vintage furniture is almost impossible out here unless someone happened to ship it here from their own country. 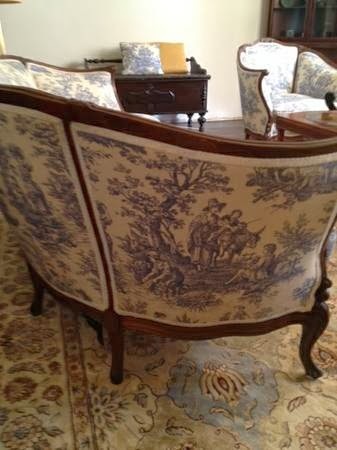 So to get myself out of a dumpy mood I headed on over to Craigslist choosing my hometown of Los Angeles and found some cool pieces of furniture that I had to share with you all. 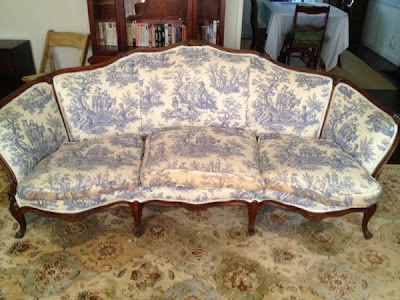 This couch is gorgeous as it is, but the lines and toile are a bit too classic for me. A more modern fabric on the traditional frame would give it such a nice twist. Hello All!! 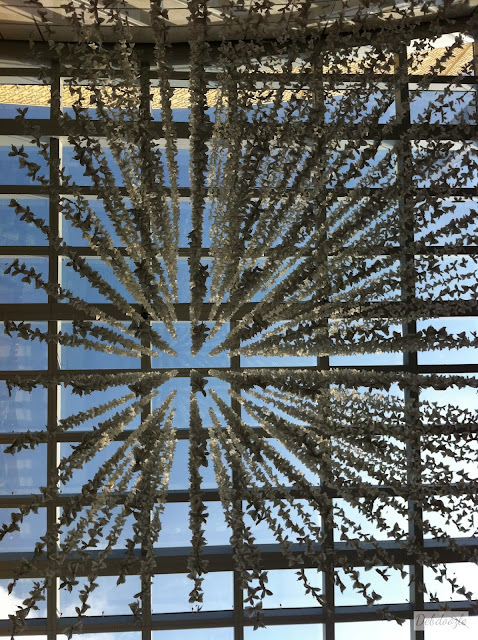 I know it's not Friday, but I didn't want the week to pass without at least one spiritual reflection post, especially since it's been a long while since I last posted a reflective post. What sparked today's reflection was a giant glass pear I've been spotting for the past few months. 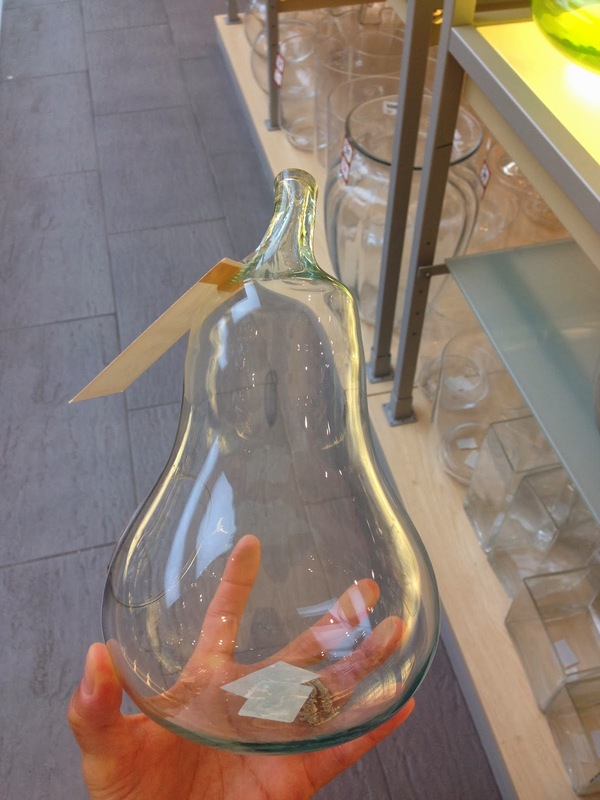 Have you ever seen a giant decorative glass pear? Does it make you think of anything in particular? Probably not, but for me it does. When I first stumbled, and continued to see these glass pears at the store I would think of two things: wooden pears from Target and Rehab Al-Buri, may Allah have mercy on her soul. Rehab's name is an Arabic word, it is not the English word that means 'to get better'. Coincidentally though, she was a cancer patient who was trying to get better. So she started a blog called Life in Rehab. Clever lady from the start! She was also an aspiring journalist and a "young Muslimah trying her best". An assortment of glass pears and a pumpkin for a hint of extra temptation lol. I stumbled upon her blog less than a day after she passed away. I was heart broken to see her go, but happy to catch a glimpse of all that she learned from her journey. She reminded me that as a human I will struggle with temptations, but it's never too late to start working on those temptations. She learned to be patient and not complain. She was an epic reminder of how short life is and used her short time to reflect on EVERYTHING in her life. She shared one of her struggles with shopping in her post, Hijab Swap, which stuck with me forever. "By far, my biggest offense occurred several months before my surgery when I told my husband I was going to Target to buy a few essential items...and that's what I was doing, until I stumbled upon this giant wooden pair [sic] in the kitchen aisle. The little shopping monster in me (aka my nafs) ordered me to buy the good-for-nothing giant pair, [sic] and I followed the orders obediently. Needless to say, my husband had a ball teasing me about how "essential" giant pears are- I couldn't say anything because, as creative as I can be, I couldn't think of a single use for it." The giant glass pear that always reminds me of Rehab. I don't know about you, but getting ready to do art projects with the kids only to find that all your markers are dried out is such a bummer. Markers are not cheap and I refuse to invest so much money in them. So once upon a time, a few years ago to be exact, I experimented with water to see if I could revive the ink. AND IT WORKED! 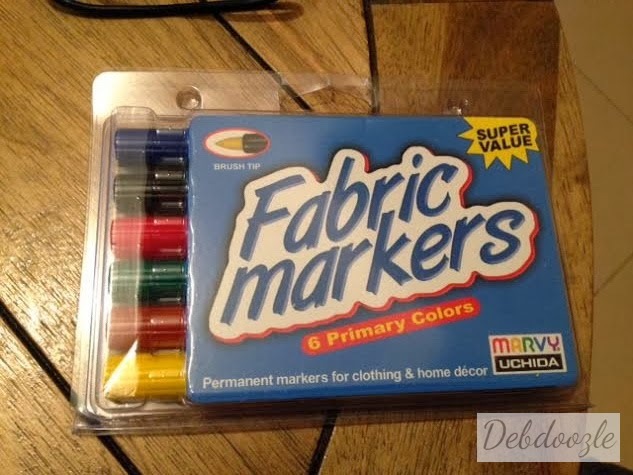 It's the most simple and cheapest way to get your kids' markers back in tip top shape! All you need is water (either in the sink or fill a small bowl) and a bucket/cup/holder for the markers. First, test out your marker on paper to make sure it's dry. Greetings everyone! Hope you are all doing well! I have a project that I am so proud to share. It's nothing big, but the fact that I was able to fix something and give it another life feels GREAT! You see, I had this simple decorative curtain rod that came with cute finials. After we moved to Dubai I couldn't find a place to use it, and by the time my husband and finished flip-flopping between where we should hang it and actually having the energy to hang it, the finials broke. :-(. It was a sad death, but you know what's even more sad? The first finial broke in pieces, I fixed it, and it broke AGAIN! It broke two more times even before the second finial finally broke as well. We were bad parents to these finials, but I HAD to save the rods. They were in perfect shape and I needed to hang them ASAP. So after a little bit of thinking a lightbulb flashed! How about making a simple pair of finials from clay? I am sure it's possible, only two ways to find out though. Google it and see if someone else tried it already, or do it yourself and see how it turns out. I did both lol. New finials on the right and left side of the original rod. The original finial (left pic) broke off it's base (right pic). I saved the base for a new clay finial. Hey all! I have a very quick trick to share with you all today. Painted vases are so popular. They add a lot of color to a home in an instant and are probably one of the cheapest DIY's out there. The only problem with them is that you can't actually put plants in them because the paint will eventually dissolve away from watering the plant. So I thought of a quick fix that can work with wide mouth vases and another trick for narrow vases. This vase was clear glass, I poured a generous amount of yellow and cream paint on the bottom. After swirling the paint around the vase and leaving it to dry upside down I got a beautiful effect. Growing up in California, I've lived in houses and apartments alike. As far as apartment buildings go, the tallest building I've ever lived in was a measly three stories. We lived on the second floor. My former Turkish teacher, however lives in the 40-something level of her building out here in Dubai. I had nightmares after the first visit to her place. Check out the panoramic view I caught from her balcony. To the far left is the Gulf and a faint Atlantis Hotel on the Palm Jumeirah. 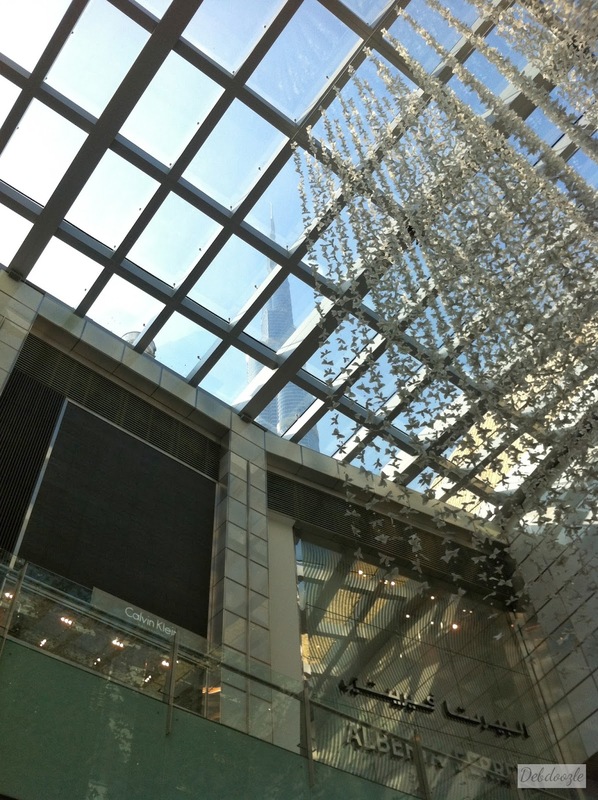 In the center is the slight shadow of the massive Burj Khalifa. You can also see Jumeirah Beach road and I believe Shaikh Zayd rd. If you had to live in an apartment, what's the highest floor you would consider? While you enjoy the view please excuse me while I take something for my vertigo :oP. Thanks for stopping by! Hey there folks! Hope this post reaches you all in the best of health and happiness. Well it's been exactly 3 months since my last post and I thought I should give you all an update on where I've been. 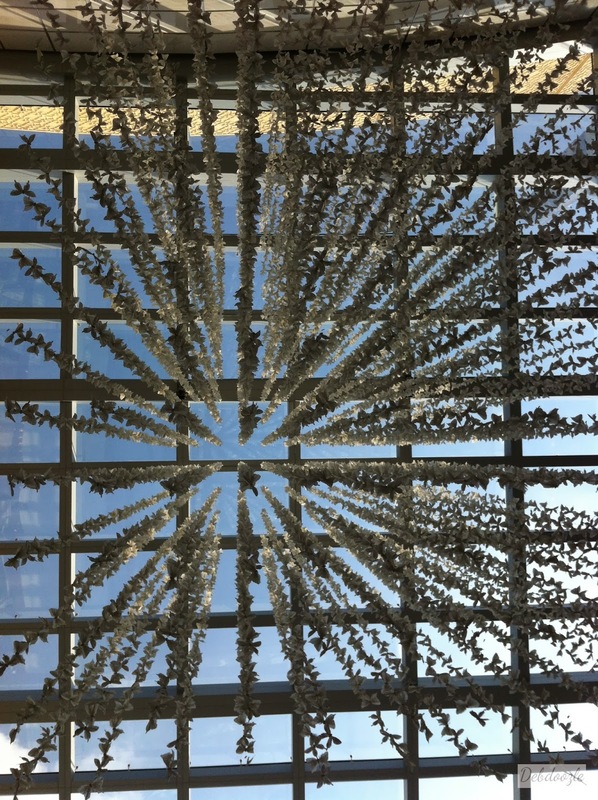 It's taken me way to long to get back into the groove of blogging, but I'm finally back. Since Ramadan, life has been spiraling out of routine and for me getting out of routine and back on track again is like trying to walk straight after riding the tea cups at Disneyland. For a week. Basically, it's hard. I had a lot on my plate these last three months. Between traveling, struggling with my health, dealing with my kids' school and seriously considering and trying out homeschooling, blogging was put on the back burner. Thank God life has just begun to feel normal again, plus the whether is down to the mid 90's which makes it easier to take the kids out to play and I can now breath. I'm being very serious about the breathing. Try spending three months straight in a sauna and that would be Summer time in Dubai. I hope you all understand and will continue to support me on my journey by following along. I have a backlog of projects to post and I'm very excited to share, so here we go! 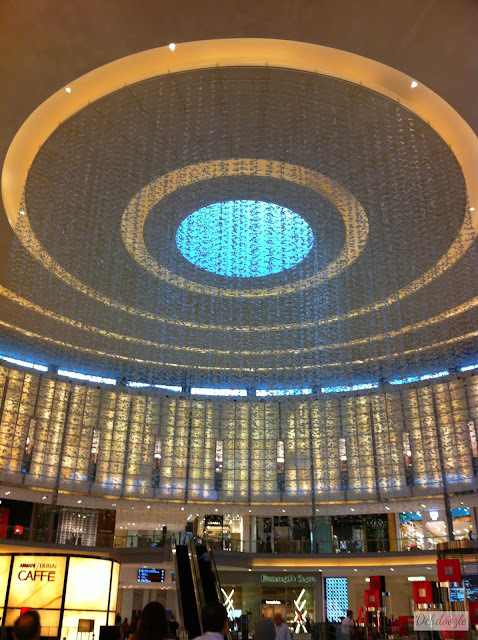 I have new projects to share this week, but for now here are some pics I've taken of paper decor hanging down from the ceiling at Dubai Mall and a couple silhouette photos of the Shaykh Zayed Mosque in Abu Dhabi. 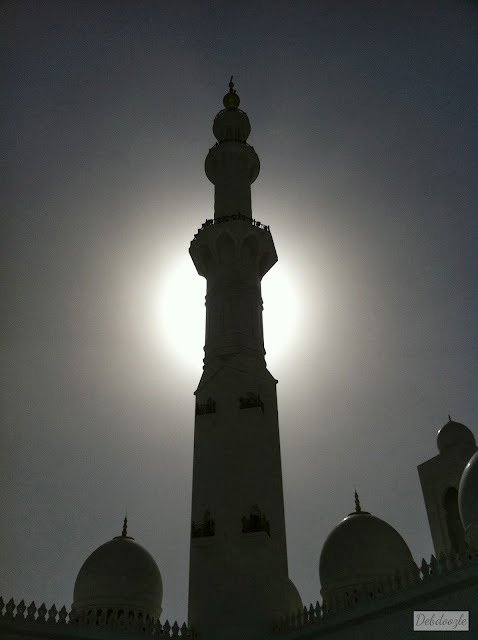 I love that mosque. Enjoy! Thousands of paper butterfly's hanging down @ Dubai Mall. 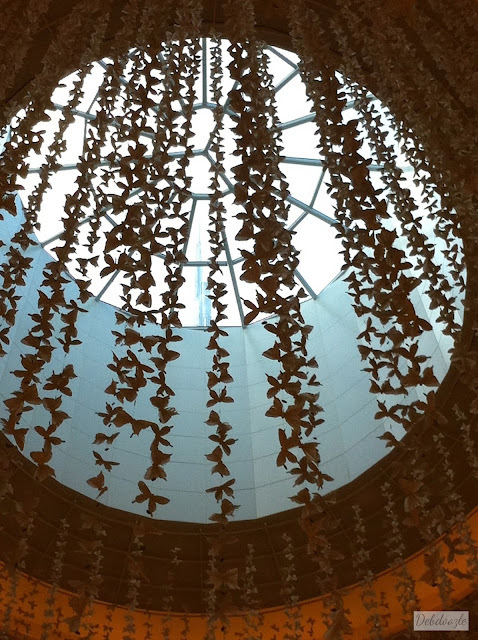 More paper butterfly's in a different section of Dubai Mall. 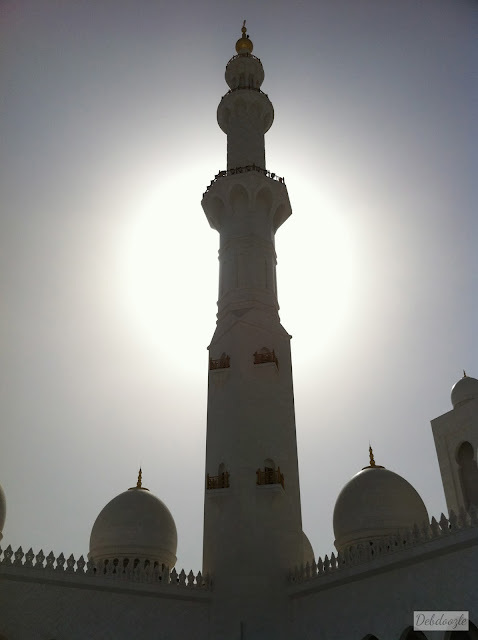 Single minaret at Shaykh Zayed Mosque, Abu Dhabi. Same minaret with different exposure. As always I am grateful that you stopped by. New posts will be up this week!